I can't believe she's already a week old! Sweet Mackenzie decided to show us who was really in charge by coming early. My daughter was scheduled for a C-section on Monday, March 4th, and planned a lovely Sunday at the Zoo with Jackson to celebrate his last day as an only child. Halfway through the morning, Shiloh's water broke. Bill and I had planned to spend Sunday preparing to "move in" to Shiloh's to care for Jax during the hospital stay, so we were completely caught off guard when the call came. Lol. Just a few hours later, Jackson was a big brother! Mom and baby girl came through the surgery with flying colors, Dad, too. Mackenzie was a healthy 6 lbs 13 oz (just 1 oz shy of big brother's birth weight), and 18.5 inches long. A beauty! The whole process was so different from Jax's birth... no preeclampsia (thank God! ), very little swelling, easy (haha) surgery, smooth recovery... it's a relief! Little Jack (who looks HUGE now! lol) met his baby sister that night, and he was wonderful with her! He loves to hold her and snuggle. We're working on making those gentle snuggles, not struggle-snuggles, haha, but it's coming along. He's such a sweet boy, and he's going to be an amazing big brother (which between him and the rest of the men in the family, probably means she'll never date). Jackson and I had an eventful week. Do you know how cranky an almost 2 year old gets when he rejects the concept of naps and full nights of sleep for four days? Lol. But he gave cuddles galore so all was forgiven. For myself, it's quite surreal to hold baby girl... she looks exactly like Shiloh when she was born! Right down to that sweet little chin (a legacy from Great-great-great Grandma Turner). I cannot begin to express how very much this sweet baby girl means to all of us. She is an impossibility. And she's perfect. Even her name is perfect... Mackenzie (seriously... we've got the Jack and Mack attack, hahahaha! ), Elizabeth (family name - 1st born girls of 1st born girls), and Hope. Because she is the proof of hope. Welcome to the World, Mackenzie Elizabeth Hope! We're so glad you're here!! Take a hop on over to our sister blog, FitToConceive.com to check out our latest post. De-Stress, not Distress to get some simple tips to relieve the stress in your life. You may have heard recently that the WHO (World Health Organization) has announced that it is launching a review of the potential risks of plastic particles in drinking water, after a study found tiny pieces of plastic in more than 90% of samples from the world's most popular bottled water brands. That analysis was conducted by the State University of New York in Fredonia as part of a project from the U.S.-based journalism organization Orb Media, and it involved 259 bottles of water from 11 brands across nine countries. Of all the bottles tested, only 17 were found to be free of plastic. 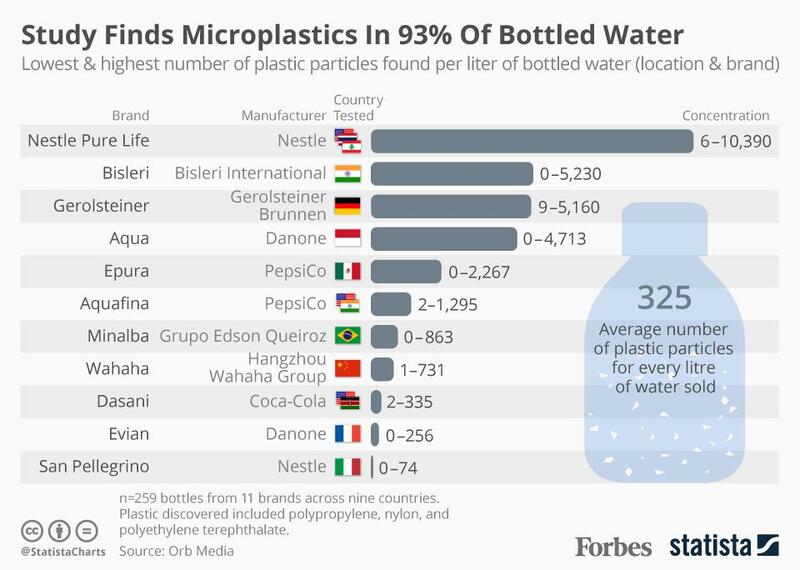 On average, each liter sold contained 325 pieces of microplastic, including polypropylene, nylon, and polyethylene terephthalate. In one case, a bottle of Nestlé Pure Life contained more than 10,000 pieces of microplastic. High levels were also found in bottles of Bisleri (5,230), Gerolsteiner (5,160) and Aqua (4,713). They say there's no cause for alarm. They say that the particles pose no threat to human health. They also said the same things about pesticides. Remember DDT? There is no better time than now to ditch the plastics. Between causing hormone disruption, and now particle pollution, plastics just don't make sense. Here are two simple steps you can take at home and on the go to kick the plastic habit and improve your health. Buy a stainless steel water bottle. 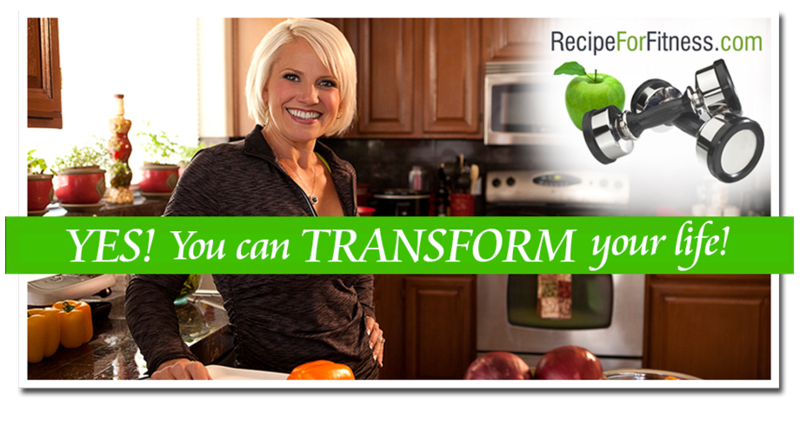 Fill and refill it with filtered water, and maybe toss a slice of lemon or cucumber in there for a flavor boost. 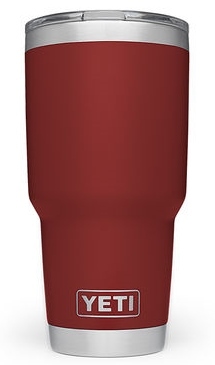 There are many stainless steel water bottles on the market, but the Yeti Rambler is by far my favorite. If I fill it with ice-water today, tomorrow there will still be ice. It's awesome. It's a hot or cold, so you can use it for your coffee, too. Filter your water. 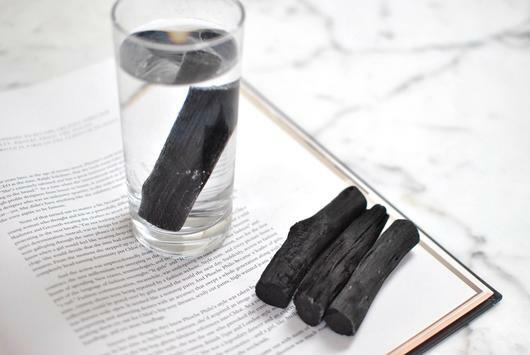 Brita just doesn't finish the job, so give your water a boost by using activated charcoal sticks. Sounds a little weird, right? But these funny looking sticks absorb impurities in water. If you're using a brita (or other filter device), just toss a stick in the bottom of the container to help purify. They have sticks to fit in your water bottles, too! They're re-usable, just boil them for 10 minutes and allow to dry - boom, reactivated! I have a large one for my 2 gallon glass water dispenser in the fridge, along with smaller ones that just hangs around in our Yeti's. Pretty simple, right? And for a modest investment (about $35 for the Yeti, and $13 for the charcoal), you can eliminate the polluted bottled water - and the waste from all the empties. Good deal all around. I am a participant in the Amazon Services LLC Associates Program, an affiliate advertising program designed to provide a means for us to earn small fees by linking to Amazon.com and affiliated sites.